Commercial locksmith lock change and Replacements in London. The London Locksmith offers commercial locksmiths door lock change, replacement, repair, rekey in London, Islington, Hackney, Camden, Westminster, Walthamstow, Tower Hamlets, Shoreditch, Haringey, Bromley and all surrounding areas within the M25. Are you struggling with one of your door’s locks? While extreme damage may make a complete business lock replacement necessary, there are times when a commercial lock repair is a better solution. This is particularly true when it comes to high security locks. Commercial lock change can be expensive, depending on the model of the desired lock system. If you can get the problem fixed through a professional business lock repair, your company could save a substantial amount of money. The only way to know whether you need a commercial lock repair or a commercial lock replacement is to get an inspection by a professional locksmith. At The London Locksmith, our professionals will always work to find the best solution for your unique needs. You may have fully functional locks but need to change the keys for security purposes. In such cases, it isn’t always necessary to get a full business lock change. A business rekey will change the inner mechanisms of the lock, rendering the old keys useless. Many businesses choose to get a periodic business rekey service to maintain safety from theft. If you own or manage a business that has a lot of employees or a high turnover rate, getting frequent commercial rekey services may be necessary. You may have also lost a key and don’t wish to risk a break in, or are afraid that a disgruntled ex-employee might have access to the building. If you need a business lock change or business rekey, give The London Locksmith a call right away. If your employees can’t get into your building, then the entire day can be thrown off. Not only can it affect the company’s activities, but opening late for customers and clients could cause you to lose valuable business. When you need help with commercial lockout, we’ll send our commercial emergency lockout team to your location right away. At The London Locksmith, we know how important it is for you and your coworkers to get inside the office quickly. That’s why our commercial lockout experts will provide fast, quality service at an affordable price. We know there are times when your company’s malfunctioning locks could cause security issues after hours. When many local locksmith companies stop answering calls, the dependable locksmiths at The London Locksmith are here to help. We are excited to offer London area businesses 24/7 emergency locksmith services, no matter what day it is. If you own or manage a local business and need a business lock repair, commercial Locksmiths rekey or commercial lock replacement, call the experts at The London Locksmith. 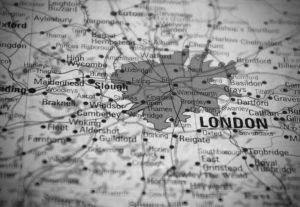 We have years of experience in helping all London area businesses stay secure. Contact us today if you have any questions or need to schedule an appointment.